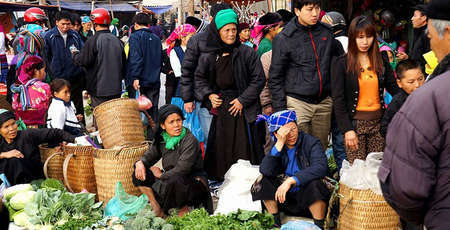 Most of people in Ha Giang, a province located in northwestern part of Vietnam, are from ethnic minority groups such as Mong, Pu Meo, Pa Then, Lo Lo, Phu La, La Chi, Co Lao, Giay and Giao. Each of them has their own folk culture folk culture, bearing the identity of the Northeast as well as various priceless tangible and intangible cultures, especially shown through materials, tools, housing, costumes, jewelry, music, singing, dancing, game shows, folk festivals, and etc. 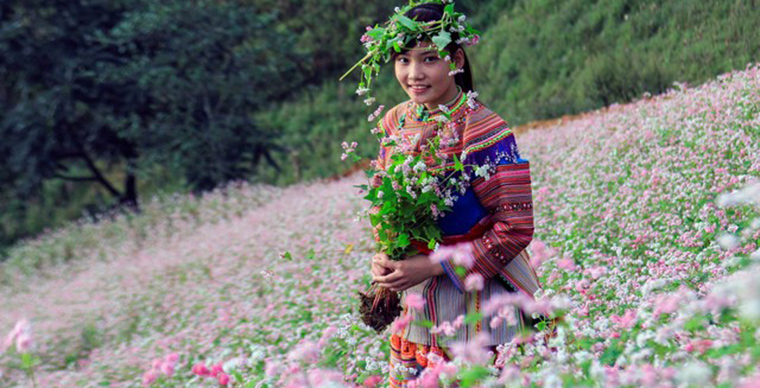 Let’s discover the cultural beauty of these ethnic groups with Authentik Vietnam Travel! The group is also known as "Mẹo" (pronounced with the lowest pitch), "Mèo (pronounced with rather low pitch), Mieu Ha, and Man Trang. 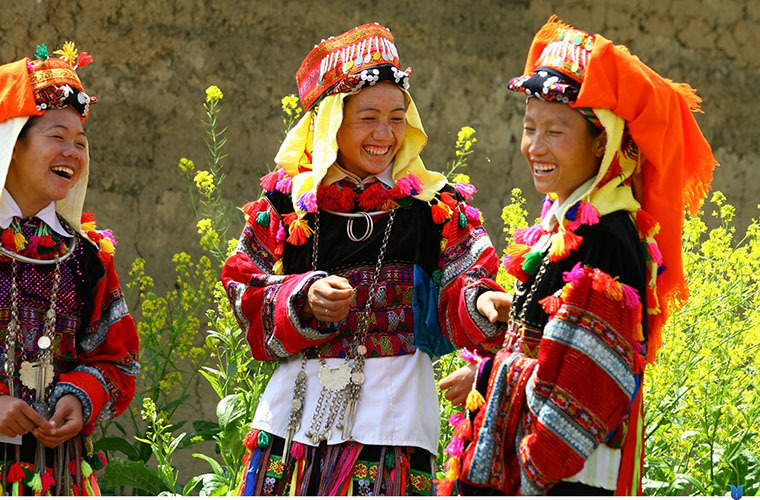 Mong ethnic minority consists of several local groups, namely, White Mong, Flowery Mong, Red Mong, Black Mong, Blue Mong, Na Mieo. 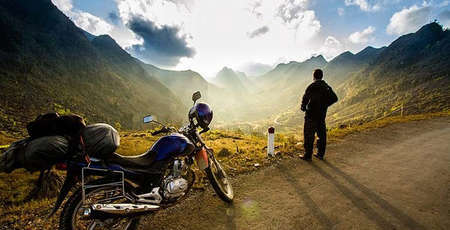 The group’s population is approximately 200,000 which makes up 31% of all population in Ha Giang province. 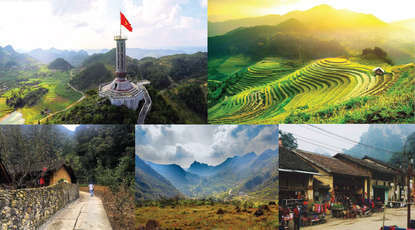 The major Ha Giang ethnic groups, White Mong and Flowery Mong settle mainly in nothern districts such as Quan Ba, Yen Minh, Dong Van, Meo Vac, and the other two western districts Hoang Su Phi and Xin Man. 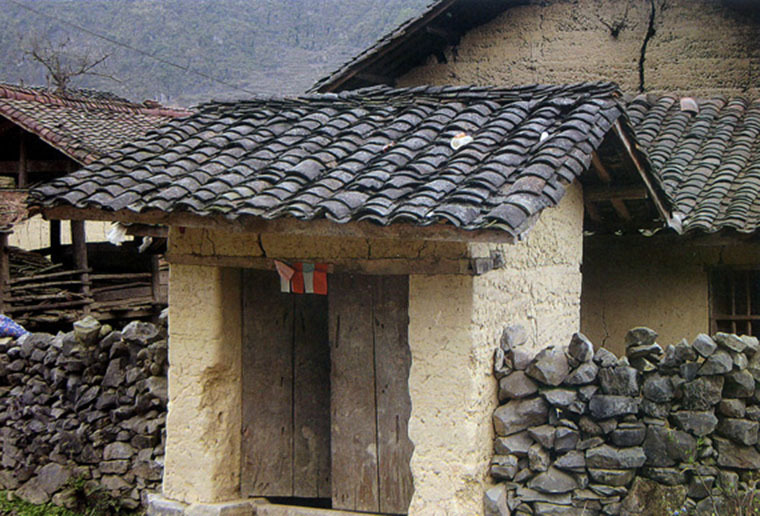 The architecture of their houses is strongly influenced by their living conditions and the harsh terrain and weather. They build houses of earthen walls and tile or grass roofs to keep the house warm in winter and cool in summer and to protect them from evildoers and wild beasts. 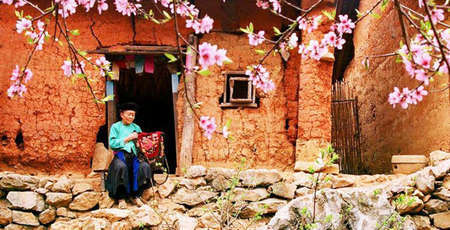 This is why culture of Mong people comes out as one of a kind, compared to other ethnic groups’ of Dong Van Plateau. Not only does it refer to their wealth but also their time living in the area. Tet holiday is the most special time of the year as they don’t hold many festivals all year round. That is an ideal break after a year of hard work and sipping some scented green tea is how they enjoy the holiday. Tet holiday here comes at 30rd of lunar November (1 month prior to traditional Tet of Kinh people) and lasts in 3 days. When spring arrives, they gather together to worship as a way to honor their ancestors and pray for good health and wealth. Tet preparation is well made before 30th of lunar November. They clean up their houses, decorate altars and make day cake (round sticky rice cake) instead of Chung cake like Kinh people. They decorate the altars with unique and distinctive features. They think that things need time to rest, just like human, so that they can build up their strength for a hard-working upcoming year. 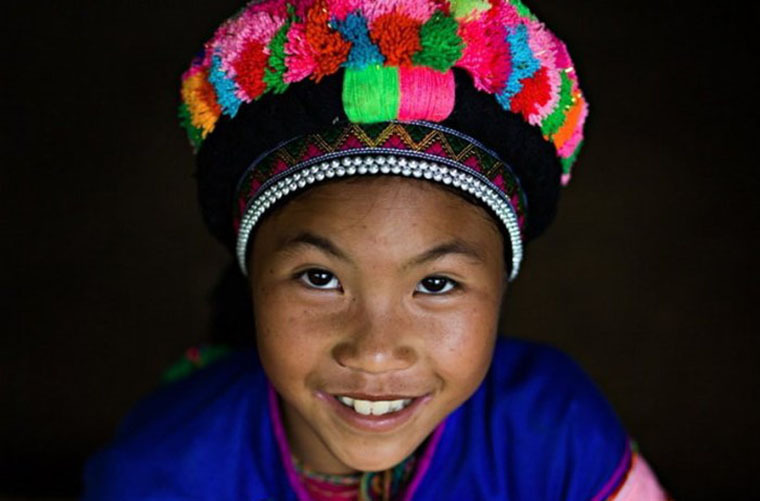 This is one of the ethnic minorities with nearly 5000 people living in several communes of Ha Giang. That number only contributes a small proportion to Vietnam’s 80 million citizens in total. 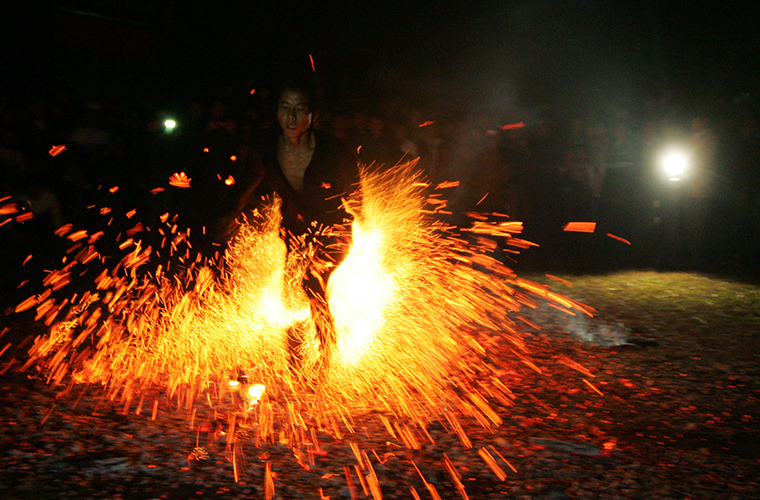 However, during their livelihood, they were able to cultivate their own unique culture, from costumes, musical instruments, customs, lifestyles, religious beliefs and cultural events, not to mention the unique Fire Dancing Festival. So far, the secret of the "jump fire" etiquette has been still in the veil of secrecy not an organization or individual is capable of discovering it. Living in Tien Thang village of Ha Giang, Tay people still preserves many unique cultural traditions: Long Tong Festival (literally means going down the rice paddy), Ripening Rice Festival, Housewarming Festival; Some special singing and dancing tunes such as Coi singing, Yen singing, Then singing, singing Luon; Sap dancing, Bat dancing, Cultivation dancing and Cultivation. 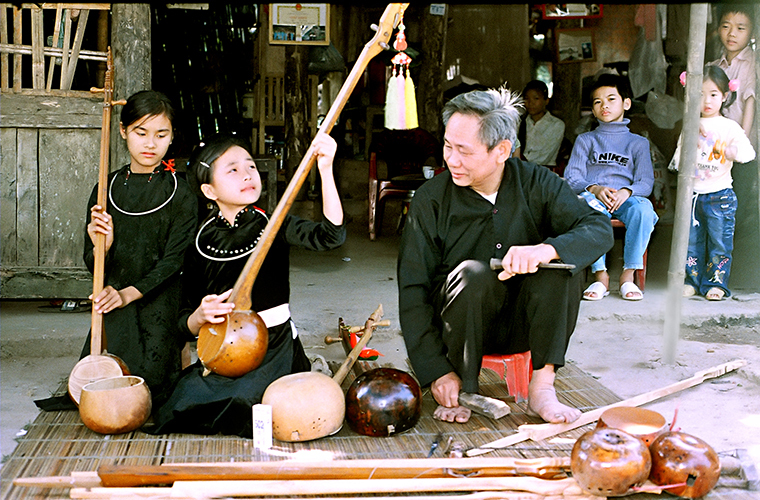 Especially, it is impossible not to mention Tinh musical instrument when it comes to Tay people. The instrument is played with fingers picking on its strings. It consists of neck, shell, soundboard, and strings. The neck is made of soft wood, usually from strawberry trees. Dan is used in rituals of Tay people. The old here often sing and play the instrument at the same time. Coming to the Tay and listening to the sound of their emotions, visitors will be immersed in a unique artistic space. This ethnic minority is also known as Mun Di, Man Di, La La, Qua La, O Man, and Lu Loc Man and divided into 2 local groups - Lo Lo Hoa abd Lo Lo Den with 3134 people. The Lo Lo language belongs to the Tibeto-Burman Group, closer to Burma. 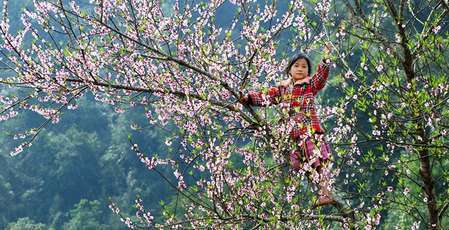 They are very early inhabitants in the northern part of Ha Giang. Lo Lo people’s agricultural economy depends mainly on rice and maize. Domestic husbandry is relatively developed and is a significant source of income. 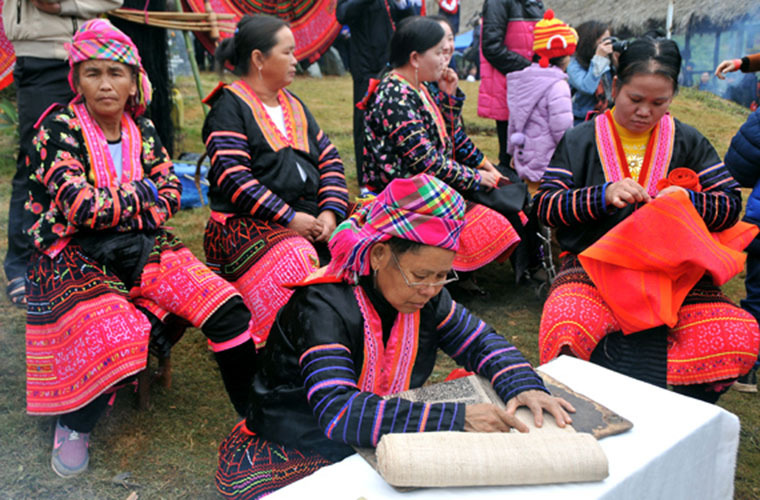 The first feature to identify Lo Lo Hoa culture is partten costumes of women. They often wear often wear a low-neck vest and a pair of trousers underneath a short skirt. These costumes are carefully decorated with patterns such as geometric pattern (triangle, square), cardamom fruit, “ngo ba” bird which shows their a delicate aesthetic taste. The Lo Lo ethnic group usually holds many traditional festivals yearly such as Spring Festival from lunar December 25 to the full moon of the next lunar January, Corn Harvest Festival on traditional Lunar New Year. Moreover, being held in March lunar year with the meaning of rain for good weather and harvest, rain festival is considered as the most prominent one. 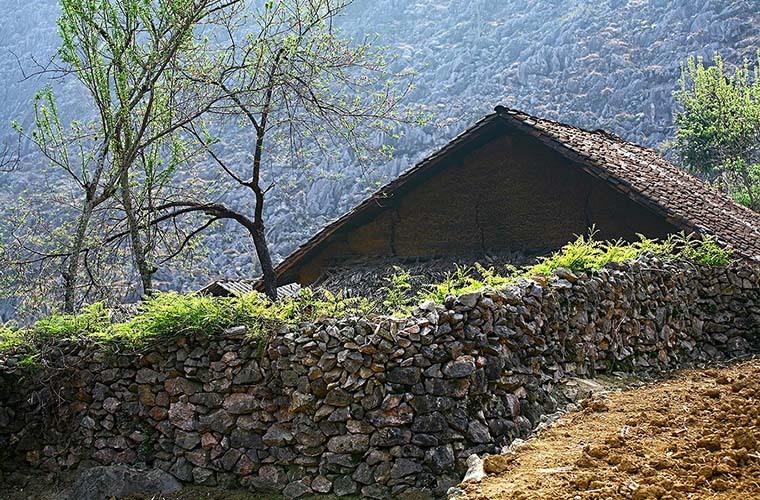 According to some researchers, it’s not been too long since Phu La people first appeared in Vietnam and Ha Giang in particular, only about 100 years ago. Phu La people consist of two groups - Lao Va Xơ and Pu La and those now living in Ha Giang belong to Pu La group. They live on high mountains and gather in small, separated villages. 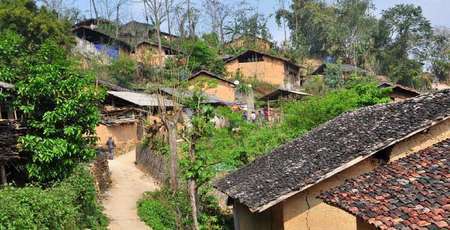 Each village includes 10-15 families, living in earthen houses, with many other ethnic groups such as Mong, Dao, Tay, Nung nearby. Village elders, village chiefs, and clan chiefs play a very important role in village management. At present, Phu La people still preserve their folk culture as they have various forms of oral literature. Besides, themes of their traditional stories are mainly solidarity and the power of good over evil.